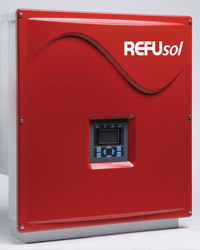 World’s most advanced solar inverter product directory. We have collated inverter data from manufacturers from all around the world into a common template, allowing you to compare and review inverters easily. 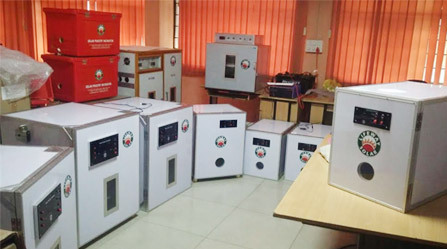 We also present quality certification data that is directly collected from the certification laboratories, with links for you to easily check the inverter certifications yourself. 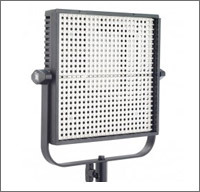 » Wattage - 3 W to 260 W Panels. » Voltage - 6V to 24V. 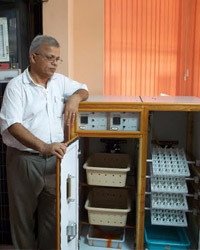 It is a very small unit enough to power a medium sized house. 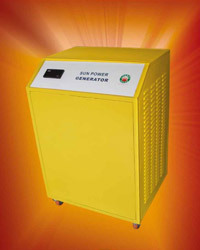 One 18W Table fan/ pedestal fan/wall fan plus 2 nos of 3W LED lights are provided along with the unit. The system will work on DC power and will give a 5 hrs back up. » Epoxy Encapsulated PCB to Prevent Corrosion (IP68). » Infrared Remote Control Programming Accessory (CU). » External Temperature Sensor (Optional). » 4 Stage Battery Charging (Main, Float, Boost, Equalization). » Dual load or Dimmable Load Output. » Automatic System Voltage Recognition (12/24 V). 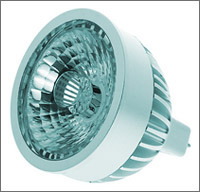 » Used for residential and commercial power requirements. 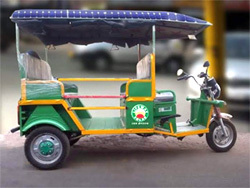 » Photovoltaic panels, CCU, Battery & Sine wave Inverter. Installed on isolated Telephone signal tower or erected in fenced areas to protect from wild animals. 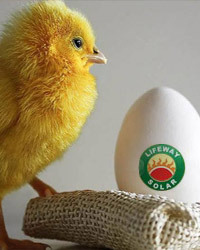 Wattage - 1 KW to 20 KW. Evacuated Tube Collector (ETC) technology made of Borosilicate glass. 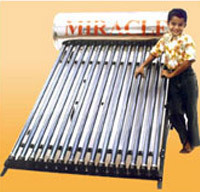 Vacuum tubes with superior coating to absorb maximum solar radiation and for maximum heat retention. 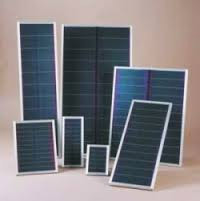 Aluminium reflector panel to maximise solar absorption. Backup electric heating element for cold rainy days. For pollution and noise-free backwater rides. 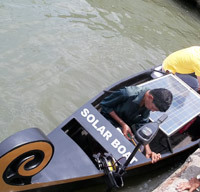 Anybody can drive this Solar 1 HP motor boat with a motor unit which can be easily detachable from the boat after use. Target Group ¨C Resorts and Tourists. 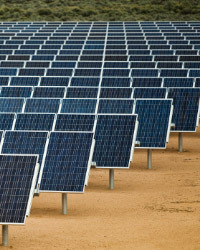 180Watt Solar Panels will harness sunshine and store power in the battery. This Motor will work on DC power for 4 Hours continuously. LED Traffic lights with poly carbonate body. Signs of Direction in green, also red, amber lights 300mm Dia, UV stabilizer lens, operating in 12/24V. Micro processor based real time memory with battery back up, built in Data entry key board, count down timer. 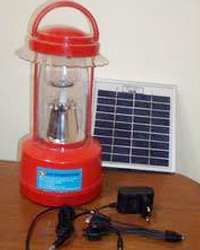 Photo Voltaic Module charger and battery. GI pole, Height - 2m to 6 m.
Saving per year: Rs. 591.30 on each LED bulb. 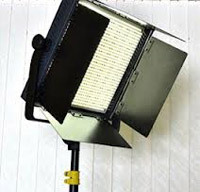 This 12V / 70W unit with an 10 Amp SMPS can power LED lighting up studios for telecasting news and for reality shows. This is a 4 feet X 2 feet LED board. Technical info - 12V / 45Watt unit. 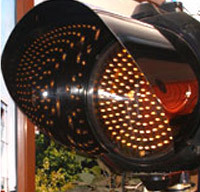 Gives 8000 LUX light without heat, ideal for film shooting and TV interview, telecasts etc. 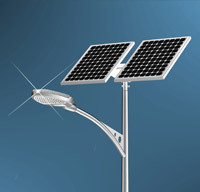 18Watt Pedestal fans, Wall mount fans and Table fans suitable for Solar DC home lighting system. 4 speed fans draws 1.5 amps on the high setting and 1.2 amps on low. 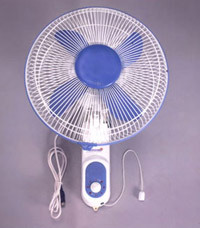 The fan can be set for one position or for oscillation with a single switch. 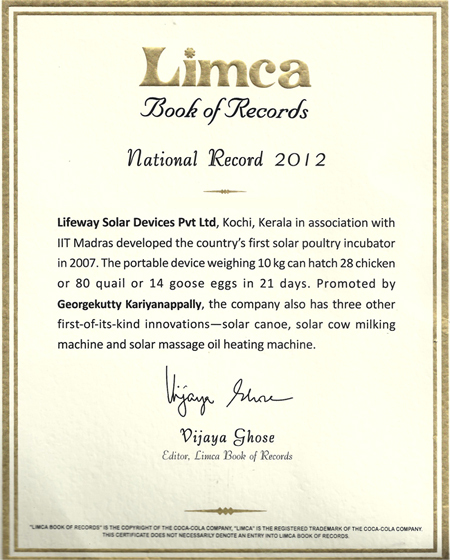 Most suitable for N- West, South & Central parts of India where good Solar irradiation is available. 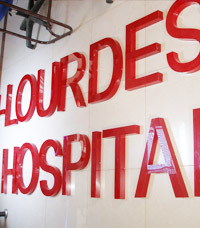 Custom based design with ACP board letter in Acrylic. Inside SMD water proof used to Light the letters. Only letters will glow. Controlled using a Windows PC running LED sign message software; and data transmitter with receivers for wireless LED display network. Start-up wind speed 15 Kames. Voltage - 12 / 24 Volts DC. Power - 400 W at 35 Kames. Rotor Dimension 1.15 Diameters. 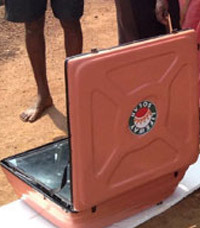 Weight 10 kg (Approx.) Mounted on 1.5 Dia GI Pipe Non rusting Powder coated body, High tech built in electronic. Auto stop after batteries are charged, Only two moving parts. 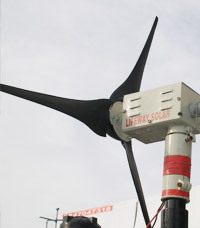 Protection from high wind speed Automatically turns towards the wind director. Life 25 ¨C 30 Years..
» System Length - 41.2"
» System width - 11.9"
» No. of bowls - 2"
» Bowl width - 9"
» Bowl depth - 2"
» Tube dam. - 0.75"
Pollution free and hygienic, Durable, reliable and economically viable. 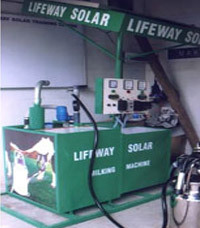 Using free renewable source of energy thereby saving LPG, kerosene and electricity cost. Control Valve for desired temperature. No maintenance for this stainless steel equipment. Work under Low-voltage and Low-Heat, Safe and Reliable: The surface temperature is less. 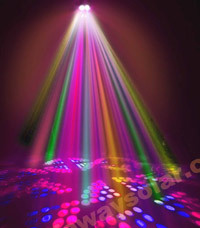 High brightness efficiency, up to 80 lm/w, various color temperature optional, High Color Index, Nice Coloration. Reduced Line Loss, No Pollution to Power Network: Power factor 0.9, THD 20%, EMI apply with the global universal index, reduce the power loss and transmission lines to avoid contamination of the network of high frequency interference.